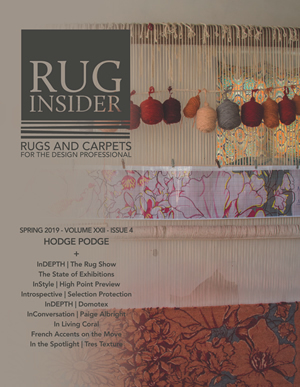 Award-winning RUG INSIDER is the premier magazine for area rug professionals, reaching approximately 6,000 top area rug buyers in each quarterly issue. 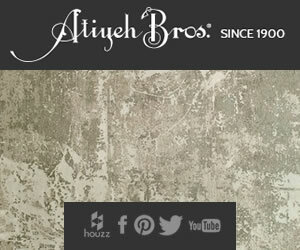 These important buyers represent carpet/flooring specialty stores, furniture stores, mass merchants, department stores, Oriental rug retailers, mail order catalogs and designers. RUG INSIDER also is aggressively distributed at key industry markets including High Point, New York Markets, Atlanta Intl. Area Rug Market, Las Vegas Market, and Surfaces. 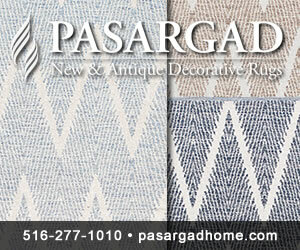 RugInsider.com delivers the latest area rug industry news and trend information 24 hours, 7 days a week. Featuring up-to-the-minute reports, exclusive stories, market guides, links and timely email news flashes, we're always on. Our in-house advertising agency can handle your advertising production needs. Costs vary depending on the complexity and size. All production costs will be billed and are to be paid before the ad is run. ^ Sizes noted are for file submission only. All ads scale in responsive mode according to devices and screen resolution. Accepted static file format: jpg, png, gif. No Flash media. Animation limited to GIF format, no more than 3 frames, max file size 250k. Ads should be optimized for web viewing. Classified Text plus 1 image $100/mo.